Tour operator specialized in Mountain Biking. You will find multiple tracks and ideal terrains for the different levels of mountain biking. Offers live authentic experiences and to connect with natural environments. Discover the imposing landscape of the Páramo de Santurbán. 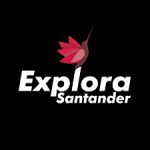 Explora Santander is for travelers who want to explore the authenticity of the region. They are people who love cycling, who are willing to live authentic experiences and to connect with natural environments, as well as to know the idiosyncrasies of the inhabitants of the region, their gastronomic and cultural customs. Explora Santander - Mike experience.